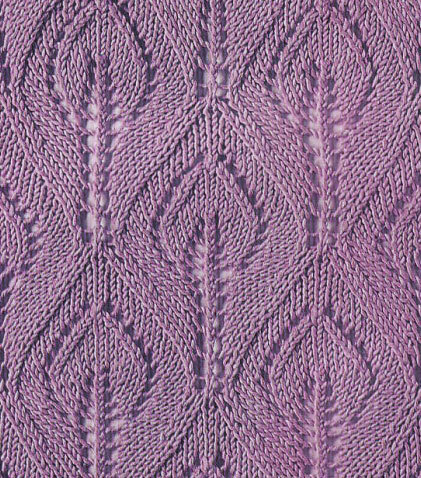 Diamonds, Leaves and Cables Knit Stitch. 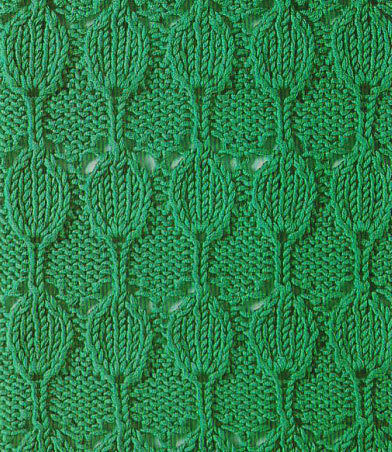 Leaves and Snakes Free Knitting Stitch. 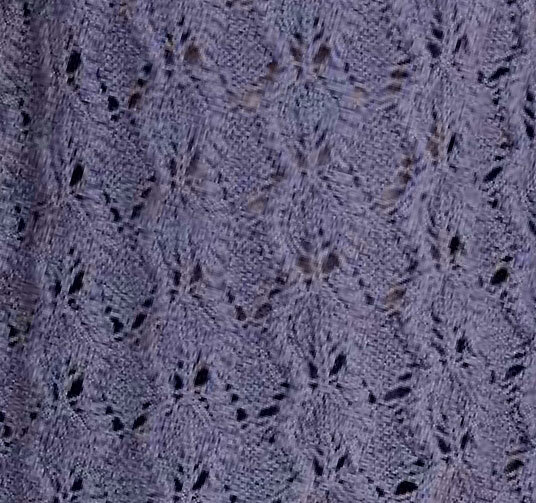 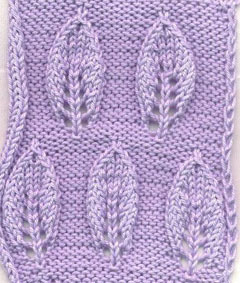 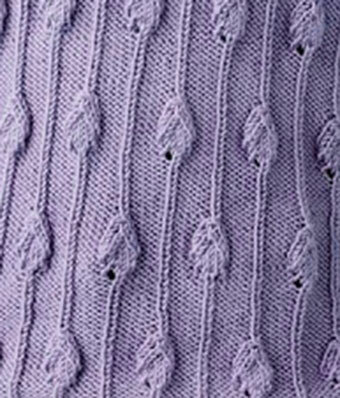 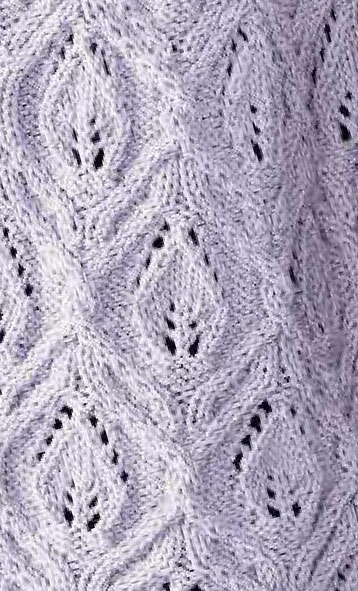 Leaf Drop Stitch Knitting Pattern. 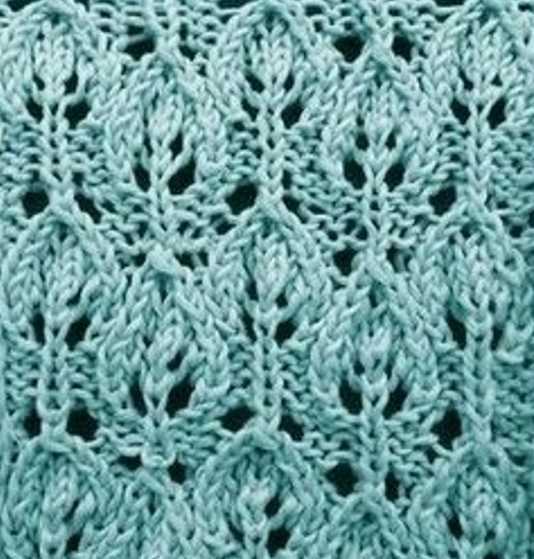 Leafy Knit Stitch Surrounded by a Cable. 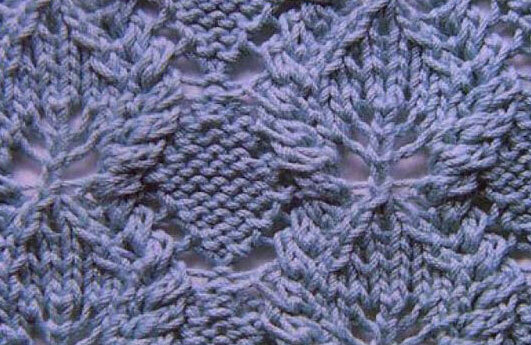 Intertwined Cables and Leaf Motif. 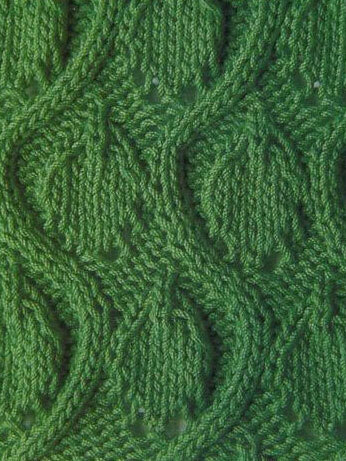 Leaf in a Flame Knitting Stitch.